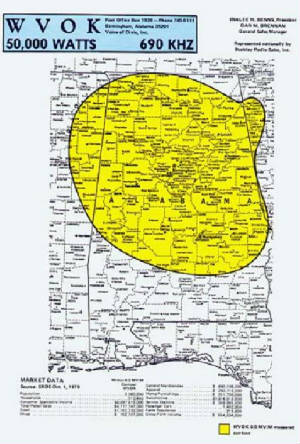 Coverage Area of The Mighty 690 WVOK and hold on for The Pepper Now Sound jingle from 1969. All courtesy of Russell Wells at Birmingham Rewound. Thanks Russell!!! !